← Tomorrow (Sunday May 4) practise AND benefit concert! 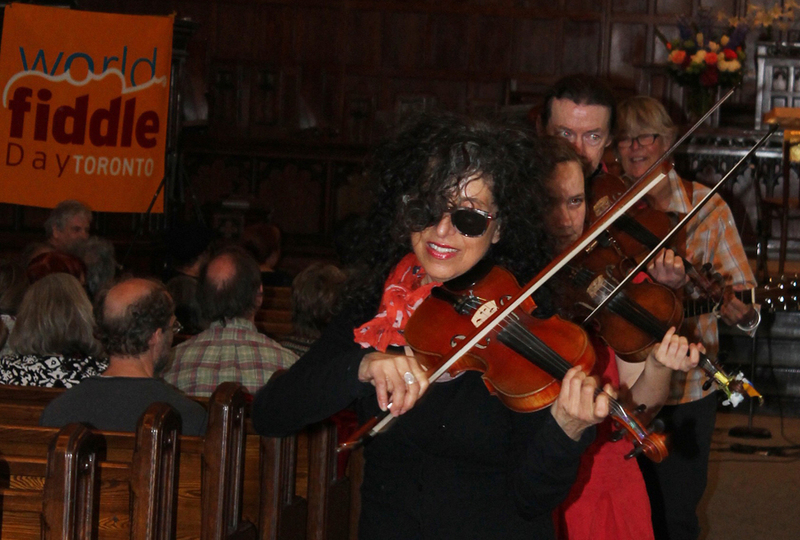 Fabulous World Fiddle Fest benefit! 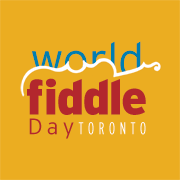 Huge thanks to all the performers, audience, donors, and volunteers who helped us raise $1,500 for World Fiddle Day Toronto (event at Harbourfront May 17). 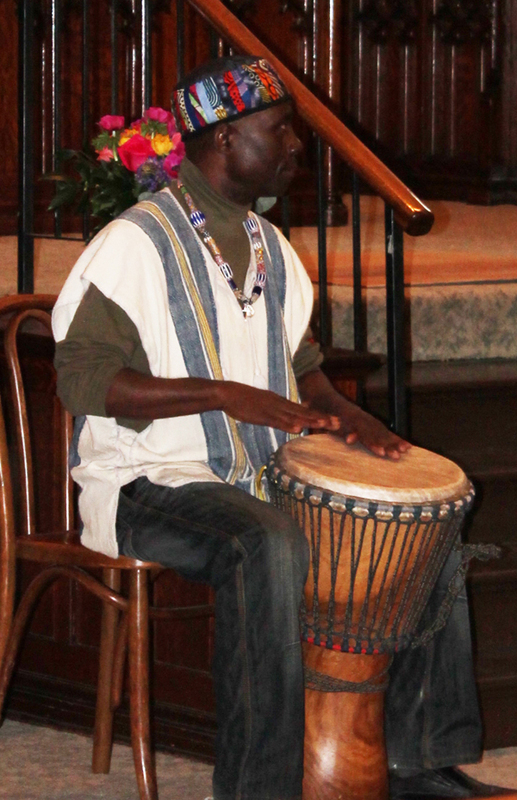 The music was grand, the energy wonderfully positive (dancing in the aisles! ), and lots of us went home with something from the raffle table. 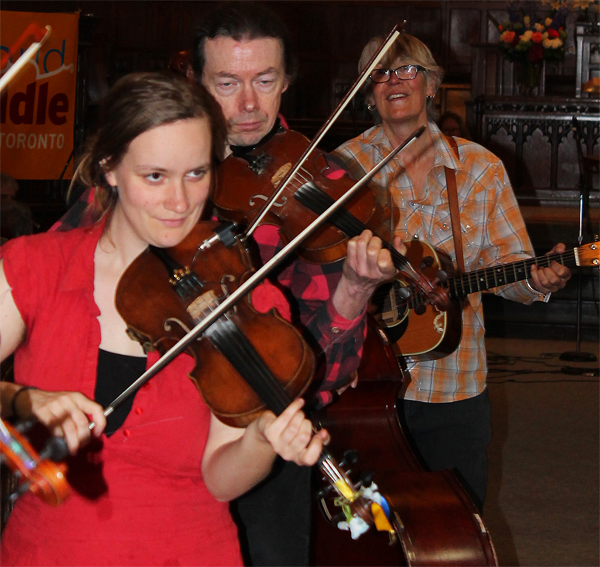 Just provin’ once again what’s been said before… “fiddlers are a classy lot”! Scroll through to see a recap of the concert. Photos by Marion Gardiner. 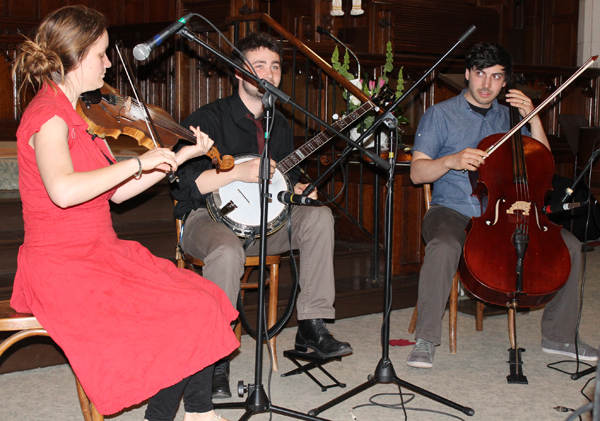 “Shoeless” trio: Emilyn Stam, Frank Evans, Eli Bender on cello. Teens of “The Reel Bulgars” led by clarinetist Martin Vandeven. 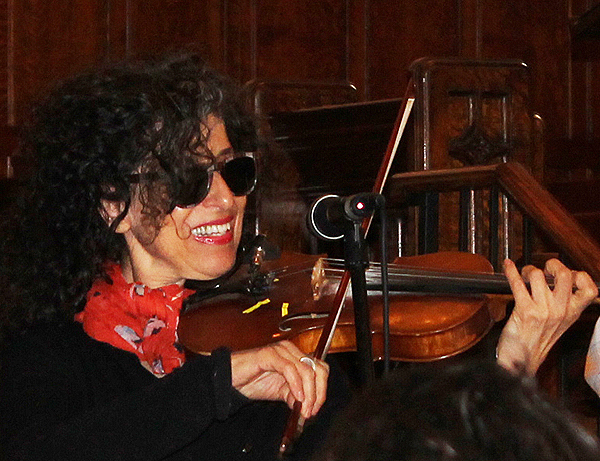 Soozi Schlanger cajun’in it up for Swamperella! 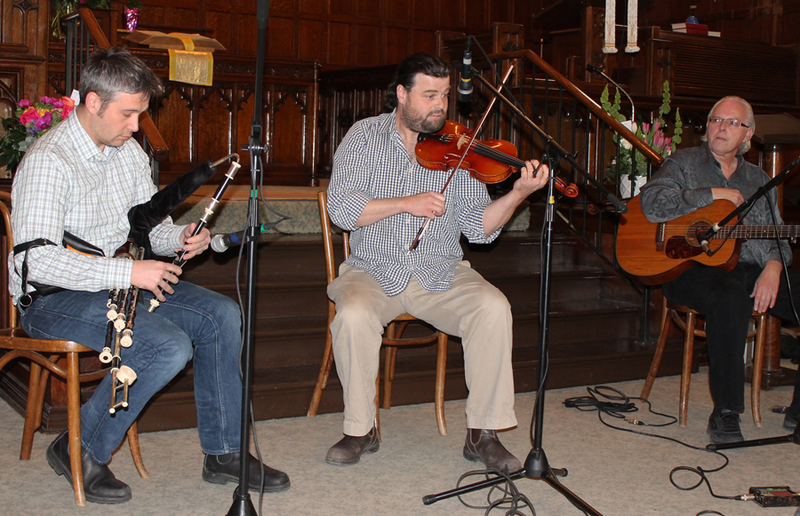 Fiddler James Law, guitarist Graeme McGillivray and bodhrán player Jacob McCauley of the trio NUA. 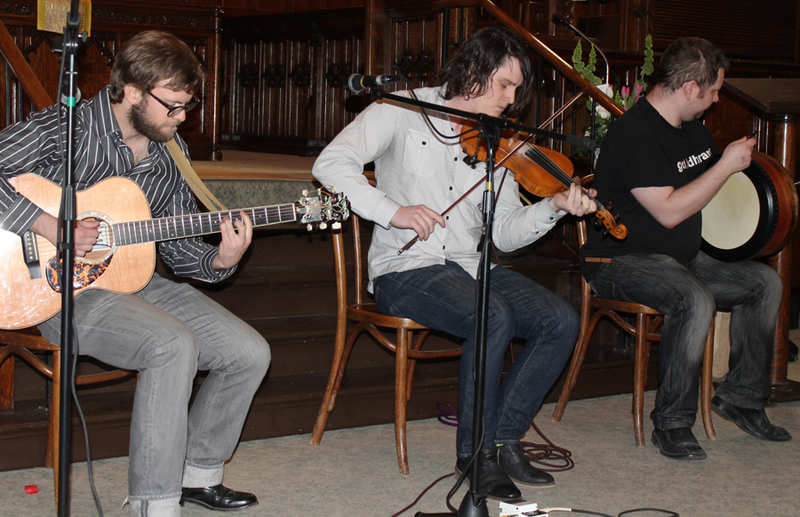 Piper Ross Griffiths, fiddler Dan MacDonald, and tenor banjo/guitar maestro Brian Taheny of North Atlantic Drift. 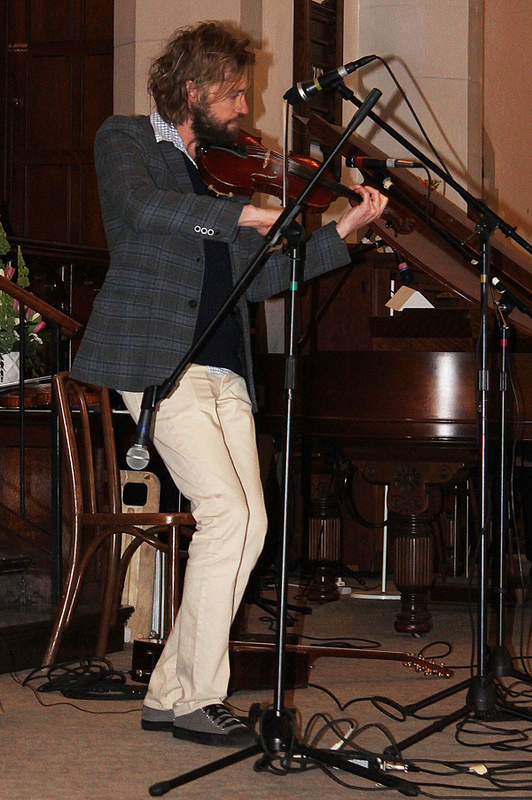 Jake Pilatzke ‘steppin’ and fiddling with his partner, Jake Charron, on keys. 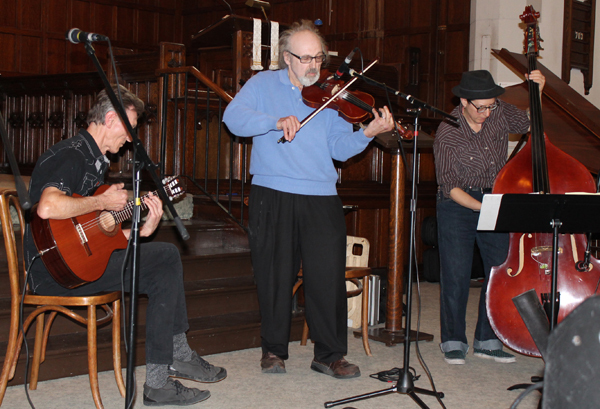 Gypsy Jive Band’s Murray Mckay, Gary Weinger and Rachel Melas. 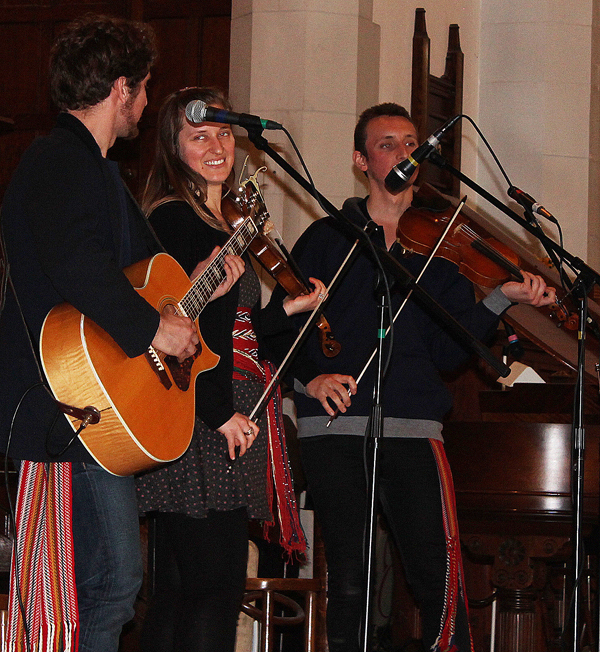 Emilyn Stam (Shoeless), Peter Jellard and Conny Nowé (Swamperella), playing down the aisle. 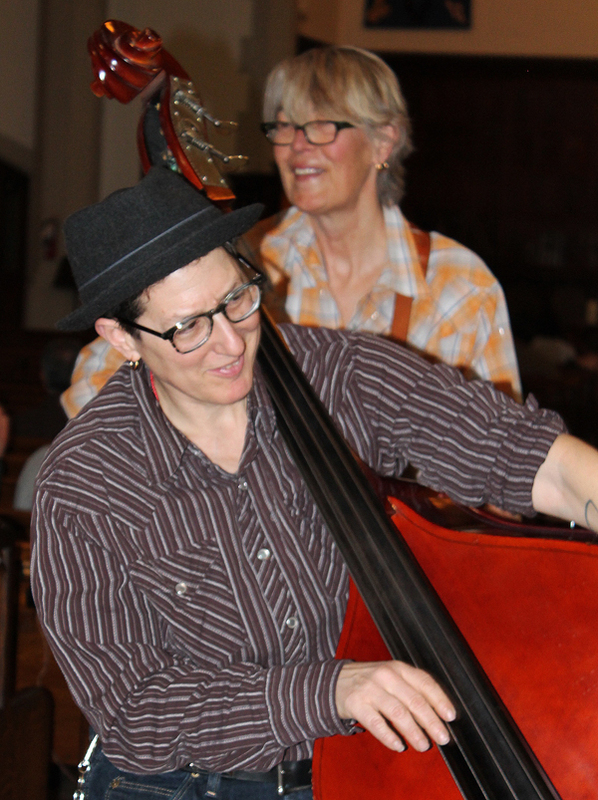 Swamperella’s Rachel Melas (bass) and Connie Nowé (guitar and vocals).